Pac-Man is a unique cultural artifact. He's as minimal and enigmatic as a hieroglyph, literally just a face (sometimes with arms or legs), like a refrigerator drawing Crayola'd up by a kid after eating all the paste. The character is such a blank slate, people have joked that he's a critique on capitalist ennui, of drug culture, and all sorts of bonkers stuff. That seems like a waste because there are so many other crazy facts about the character that happen to be true. The name "Pac-Man" is pretty nonsensical. Is he packing something? What Political Action Committee does he represent? Truth is, he started out with a much simpler name. Maybe a little too simple.Originally, the character was called "Puckman," based on a Japanese onomatopoeia for eating, "pakku pakku." It's Japan's equivalent of "chomp chomp." When the game came to the U.S., however, they changed the name over concerns the cabinet could be easily vandalized to say something much more rude. And c'mon, you can't tell us you aren't squinting at that logo, fantasizing about scratching just the right amount of paint off that letter P. The temptation is real. Eating is the center of the mechanics of Pac-Man. You eat power pellets, eat ghosts, and eat bonus fruits, and that's all you do (other than running around in circles and dying a few thousand points short of a high score). This focus on eating was intentional from the start, and it had a surprising goal. Creator Toru Iwatani observed that arcades had exclusively become playgrounds for boys — "dirty, smelly" boys. The games that were available involved aliens and shooting and just generally created a dark, gloomy environment unwelcome to women and families. Iwatani wanted to change that, so he pulled a Mel Gibson and tried to figure out what women want. Apparently, that was pizza. "When you think about things that women like," Iwatani told Wired, "you think about fashion, or fortune-telling or food or dating boyfriends. So I decided there should be a game around eating. After eating dinner, women like to have dessert. 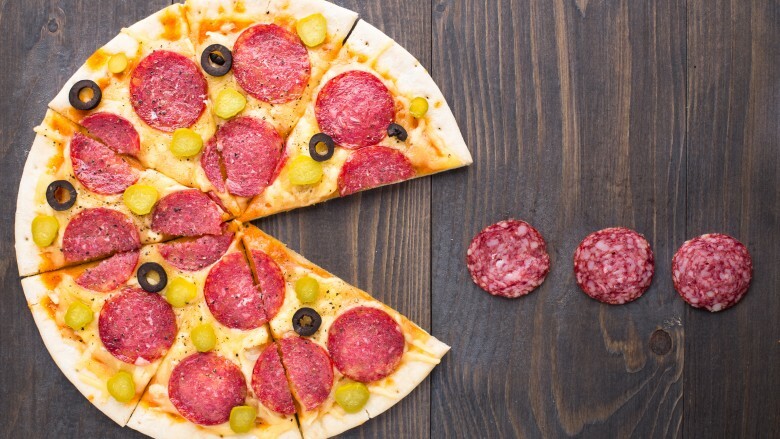 If you take a pizza and remove one piece, it looks like a mouth. That was where my idea came from." Other aspects came into consideration as well, such as muted background maze colors to make the colorful characters visually pop and an emphasis on cutesy, friendly shapes for both player and enemies. But ultimately, the driving force behind the project was the idea that, as a wise man once said, Girls Just Wanna Have Lunch. Behind the scenes of Ms. Pac-Man's traditional marriage into the Pac Family was an uneasy union between video game company Midway and a group of MIT dropouts. While Kevin Curran and Doug Macrae were attending MIT, they made side money on arcade games they had set up in the dorms. Being MIT students, they began to propose ways to improve both the games and their profits: making games harder was the ideal solution. They created acceleration kits to make certain games run faster, starting with Atari's Missile Command. When that modification proved to be successful in the confines of their dorms, they began selling it to arcades. With their profits, they formed General Computer Corporation and moved on to improving Pac-Man. They changed many mechanics of Pac-Man gameplay by randomizing enemy movement and creating multiple, varied mazes. To avoid copyright issues, they created a new title character, which they described as "Pac-Man but with legs and cold lizard-like eyes" named Crazy Otto. The enemies were … butts? Apples? During the development of Crazy Otto, Atari sued the pair for infringing on its Missile Command copyright, but the case ultimately settled out of court when Atari hired General Computer Corporation instead. Once the dust cleared, GCC contacted Midway, the owners of Pac-Man, to see if they were interested in buying the Crazy Otto kit for their arcade cabinets. Seeing how the case with Atari turned out, Midway made a deal with GCC to be the exclusive distributor of the kits, but also hired them to create a meaner, faster version of Pac-Man, which became Ms. Pac-Man. The first Pac-Man arcade cabinets were released in October 1980. 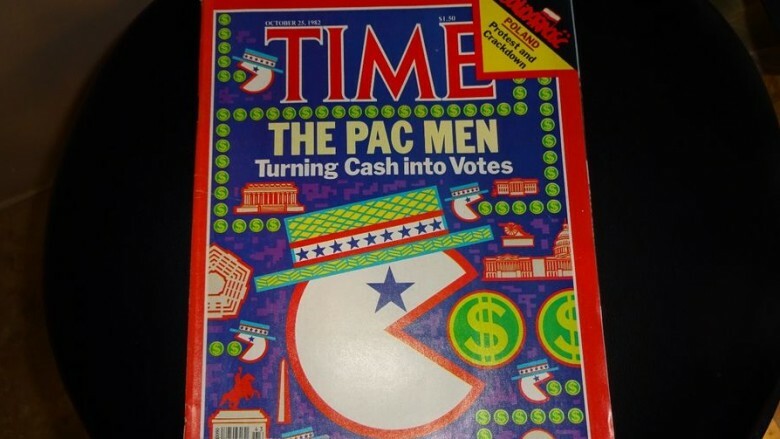 By September 1982, Pac-Man was such a recognizable symbol they featured an image of him on the cover of Time magazine (which was a lot bigger deal back then). While a plug for a dry article about lobbyists and donations rather than the game itself, it's a testament to how quickly the game saturated the public subconscious. Or maybe it was an opportunity for a cynical editor to make a hip-sounding political pun. You may see claims on the Internet that Time included Pac-Man as the "Man Of The Year," but that was a hoax based on an old MAD magazine cover. The '80s were a simpler time, when two grown men dressed like disco hoboes could write a throwaway novelty single about an arcade game and crack the US Billboard Top Ten. Buckner & Garcia's original single for "Pac-Man Fever" was self-produced, since they couldn't get record labels interested, but people couldn't get enough of it. This caught the attention of CBS Records, who reissued the single and requested a whole album of similar material. This dismayed the pair, who worried about being relegated to novelty act status, but apparently they worried more about paying bills because they cranked out the album in three weeks. As far as concept albums go, it's not exactly Pink Floyd or Frank Zappa, but it gets the point across. It had eight tracks, covering big arcade hits Pac-Man, Frogger, Centipede, Donkey Kong, Asteroids, Berzerk, Defender, and the (relatively obscure outside of the UK) game Mousetrap. The album sold two million copies, but its second single "Do The Donkey Kong" failed to make a chart appearance. The band faded for a while, until a wave of late '90s nostalgia for the band saw them reunite to release an album of new material about skateboarding, pogs, Mr. T, and E.T. On a marginally less pathetic note, they also put together a song for 2012's Wreck-It Ralph, a video game movie that also happened to feature a bit of Pac-Man. When you have a product as successful as Pac-Man, of course there are going to be spin-offs and sequels. We just mentioned Ms. Pac-Man, which overall wound up an improvement on everything that made the game fun in the first place. Then things got really weird. There was Super Pac-Man, which included features that creator Toru Iwatani wanted to include in the original. That sounds cool, but the actual game is a bonkers mess of locked doors preventing maze completion, rubbery squishy ghosts, and a power-up that makes Pac-Man twice his size. Baby Pac-Man confusingly alternated play between an arcade game and a pinball machine. Jr. Pac-Man had scrolling mazes … and not much else of interest. Professor Pac-Man was an educational puzzle game because who knows why. Pac & Pal had Pac-Man, and a maze, but also now Pac-Man could shoot freeze rays and belch smoke and was followed around by a friendly green female ghost. Pac-Land was a platformer that had graphics inspired by the animated series, except also with fairies and magic jumping boots. Later titles incorporated 3-D, virtual reality, and whatever other novelty bells and whistles they could squeeze in, forgetting that the original appeal of Pac-Man was in its minimal simplicity. 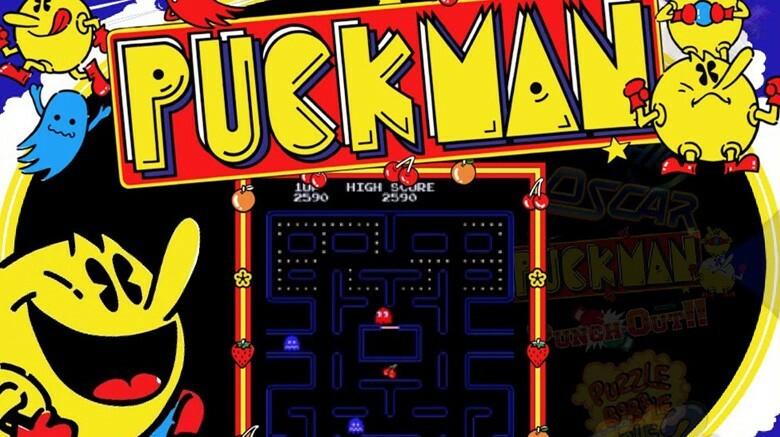 We have yet to see a gritty first-person shooter Pac-Man, but it's surely just a matter of time. 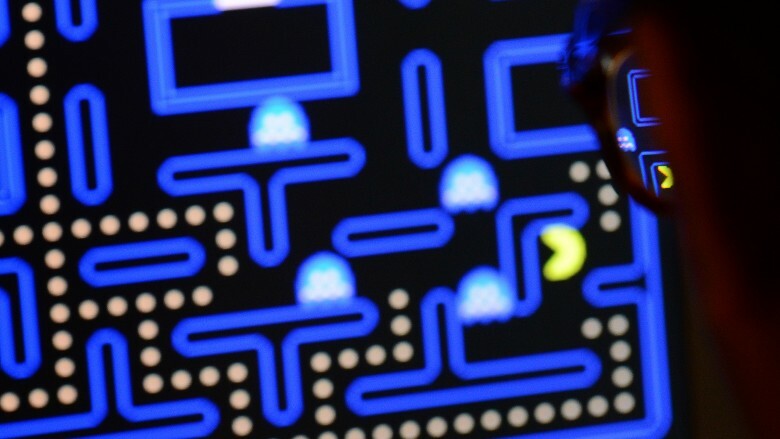 How successful and iconic is Pac-Man? Two-Guinness-World-Records kind of successful and iconic. Officially, Pac-Man holds the Guinness World Record for "Most Recognizable Video Game Character," just barely placing above Mario, and "Most Successful Coin-Operated Arcade Game." And that's not to mention all the other records Guinness has documented involving the game, such as the "Largest Re-Enactment Of Pac-Man," "Largest Human Image Of Pac-Man," and Billy Mitchell's infamous perfect game. On May 21, 2010, Google included a working game of Pac-Man in their website logo "Doodle" area, and the Internet lost its collective mind. The game, a small maze shaped in such a way to spell out the corporate name, absorbed 4.8 million hours of gameplay, which was estimated by the creators of the Rescue Time productivity app to have potentially cost $148 million in wasted wages. The number of work hours lost to Minesweeper and Solitaire during the same period was not specified and was presumably too large to calculate. In the summer of 2013, Disney XD debuted the digitally animated cartoon Pac-Man and the Ghostly Adventures, which in itself is not that weird. Reboots of properties with nostalgia value by Disney is not exactly shocking by now. But considering how completely bonkers the plot is, the whole thing is definitely a head-scratcher. It starts out with hoverboards, hip modern kid versions of the characters … and also the specter of a horrifying civil war, from which Pac-Man is the only survivor of a genocide against the yellow pac people. But, uh, hoverboards are still pretty cool, we guess. There's ghosts and the maze and other elements reminiscent of the original game, but they're rearranged in some horrible mescaline existential nightmare. The ghosts are of the yellow Pac people, but they are ruled by the evil Betrayus (Stabbus Bacchus, presumably, was already taken). The maze is some sort of afterworld labyrinth. 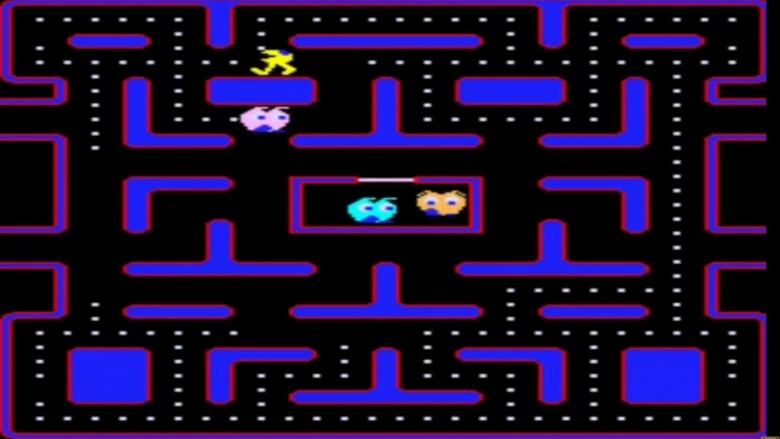 Pac-Man enters the maze because he wants the return of his parents, who could conceivably be thought of as the original Pac-Man and Ms. Pac-Man. That's right: the original Pac-Man and Ms. Pac-Man are also dead. Seriously, what sort of monster thinks up kids shows like this? Proving that by the early 2010s, reality television was grasping at whatever they could find, a Pac-Man reality television show was proposed in 2011. This brings up several questions. What? Why? How would that work? 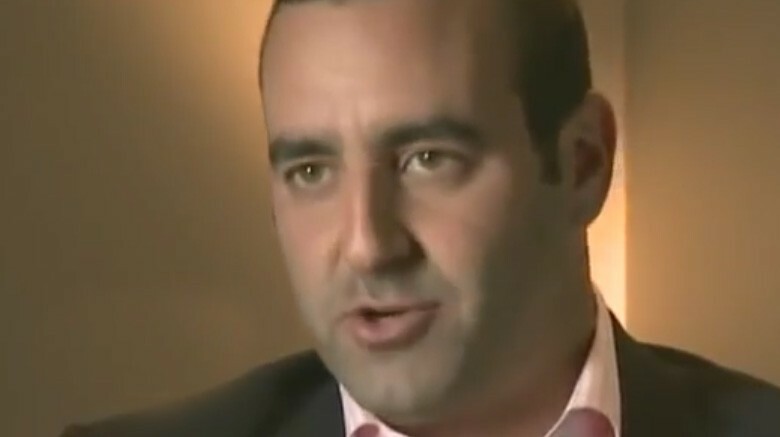 The head of Merv Griffin Entertainment, Roy Bank, described the idea cryptically. He intended it to be "a big crazy Wipeout-type event with a lot of energy. The idea we have is to take what Pac-Man is and bring it to life, to bring what is the world's biggest game of tag to television." We still have no idea what that could possibly mean, and with no further announcements of the project to go on, it's unlikely we ever will. Perhaps that's for the best.